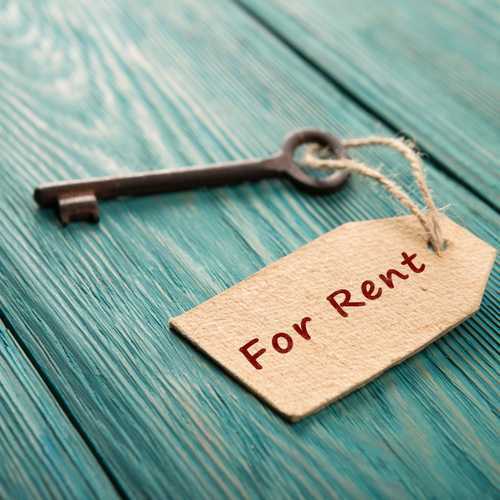 Here are some great tips about our favorite apartment rentals. With both of my daughters, I have two, not one stayed in the dorms beyond their freshman year. My youngest has lived in Oxford Terrace for the past two years because she loves the location, the rent is reasonable, the rooms are nice sized with each having their own bathroom and she hates moving. However, heading into her senior year, and not that uncommon for seniors, she and four of her friends are moving into a five-bedroom house practically across the street from her current apartment. In Gainesville, the choices are plentiful. Below are some of the more popular apartment complexes students live in near UF. Some provide buses to campus (which can be important since parking on campus can be a nightmare), some have facilities that rival a fancy hotel (pools, hot tubs, volleyball courts, lounges), some provide reserved parking spots for a fee, some are gated and provide constant security and all have various options from studios to 6 bedrooms. Prices vary and generally go up slightly each year. The rent for many complexes depends on how early in the year you sign a lease. Many will also help find a student to fill a vacant room if need be. Wi-Fi is generally included in rent, but utilities are not always included or are included up to a specific dollar amount with the overage split between the occupants. Be sure to check all these things before making a decision. Also, many parents end of having to sign as a guarantor even though the lease is in the student’s name. And for some of the more high demand apartments, the time frame to start looking is around November. Some students will start looking even earlier especially if they already have their roommates and certain living requirements. Lyncourt Square– Contemporary Management Company. Currently $865/month for a 3/3. Includes utilities, water and is furnished. Parking is extra at $125 -$150/month for a single spot and $75/month for a tandem spot. Lyons Corner– Contemporary Management Company. Currently running $850/month for a 4/4 townhouse style apartment. Includes utilities, water and is furnished. Parking is extra at $150/month for a single spot and $75/month for a tandem spot. Campus View – Contemporary Management Company. Currently running $825/month for a 3/3 and includes internet, water and is furnished. The Standard (Landmark properties) – This is the newest luxury style of living, and probably most talked about, located directly across the street from UF (corner of 13th and University). They have a lot of floor plans from 1 to 6 bedrooms. Amenities include an arcade/game room, lounge, computer lab, rooftop pool, gym, yoga, spinning golf simulator, free tanning. Apartments are furnished and include wifi, cable, waste disposal and pest control, but utilities and parking are not included. They do have a garage and charge $150/month per spot. Prices start at $750/month. The Standard also has a Target Express, Chase bank and CVS and several restaurants a few steps away. Trimark Properties is one of the larger property management companies in Gainesville with 25 properties. For their properties, they come unfurnished and utilities are not included. Parking runs $220/month. Some of their more popular apartments are listed below with many by sorority row. Camden Court – 3/2 runs approximately $745/month; 4/3 – $755. Royal Village- they have 3/2 and 4/2 floorplans starting at $699/month. Furnished but utilities are not included. Woodbury Row – Townhouse style running approximately $800/month depending on the floor plan. Parking in front of the townhouse. 13th Street University House- Located 6 blocks from UF on 13th (thus the name). My older daughter lived here and took the bus to campus. The rooms were not very large but it had some good amenities when she lived there seven years ago and they have since added many more (you have to stay competitive). Rates start at $649/month for an f/f and go up with each smaller living arrangement. Includes furnishings, internet, cable tv, water/sewer, trash disposal, in-unit laundry. She paid extra for a parking spot but they have an attached parking garage with an F.O.B. to open the gate so it added an extra measure of security. She was able to literally park on the 4th level next to the door to enter the building. Oxford Terrace- (University Realty). Located on SW Depot Avenue, just a block away from sorority row and 3 blocks from campus. 4/4 furnished apartments. As I stated, this is where my daughter has lived for the past two years. Cable and internet included as well as in apartment washer/dryer, covered parking (only 1 spot is included with rent). On bus route direct to UF. Most these apartments come furnished. There is parking at these locations so you do not need a decal and most places are open parking; however, some, like Campus Lodge, West 20, and Lexington Crossing have guest parking. Most places do not include all utilities–some are all inclusive besides water, some are all inclusive excluding electric, some require to pay both. These are, however, just some of the more popular off-campus complexes UF students seem to flock to. There are many more including three new apartments (College Park at Midtown)that are leasing for fall 2019 in the increasingly popular midtown area. Check out UF’s Off-Campus Life website for more assistance.